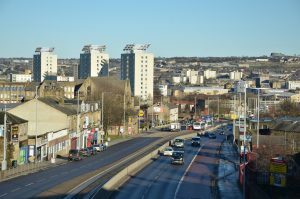 The Neighbourhood Film Project is a new initiative in development by Bradford UNESCO City of Film with a range of partners across the Bradford District. 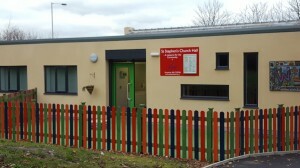 The aim is to bring neighbours together who may not have engaged with each other previously through film and conversation. Working with a range of communities including English, African, East European, Arab and South Asian, the project will encourage these communities to work together and start conversations about culture, identity and faith through film presentations and weekly community coffee sessions to discuss future film titles and to get people to participate fully in the running of the project. 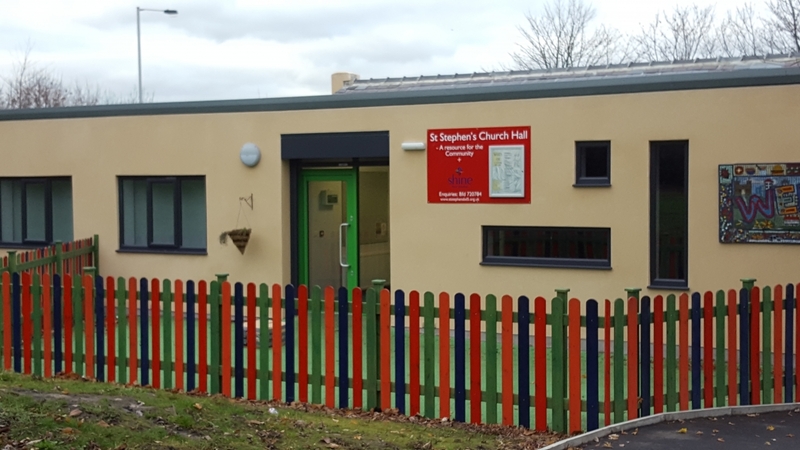 A key part of this project is to unite people through different faiths, cultures and to learn celebrate and create strong community cohesion. It is our intention to encourage and develop a number of volunteers who will gain key skills in hosting a film screening. 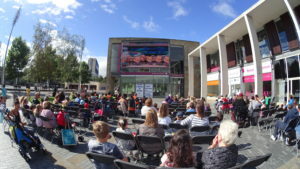 We would also hope to encourage communities involved to play a greater role in our developing range of film festivals in Bradford including the Small World Film Festival, the Bradford Family Film Festival and the Golden Years Film Festival. 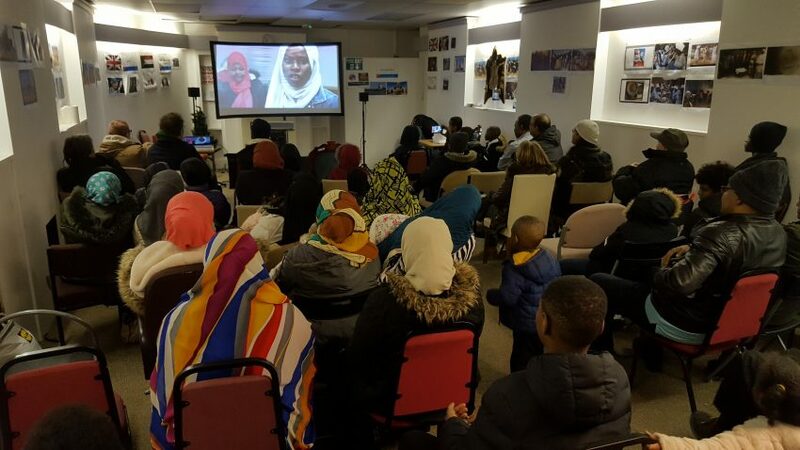 The film choices screened at community venues across the Bradford district will vary from mainstream family entertainment to something perhaps a little more thought provoking. We are open to suggestions and want to support communities groups and volunteers to choose some of the film content. If you would like your community to be involved then let us know by emailing bradford.unesco@gmail.com and look out for regular updates on this page. 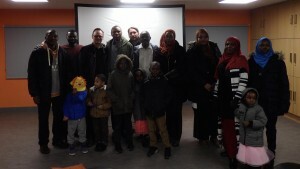 Unity and Community from Bradford UNESCO City of Film on Vimeo. Phase 3 of the Neighbourhood Film Project is supported by Near Neighbours and will include a series of film screenings and discussions aimed at uniting communities from different faiths and backgrounds. We will also be running a short film made by women from the Sudanese Community as part of the Unity & Community phase of this project. Phase 2 of the Neighbourhood Film Project will be in the form of weekly community gatherings to involve conversation and film. 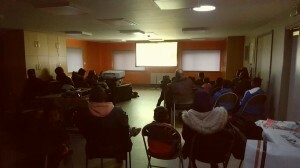 Following a consultation meeting it was decided to host the first sessions at the Bradford Sudanese Community Centre. 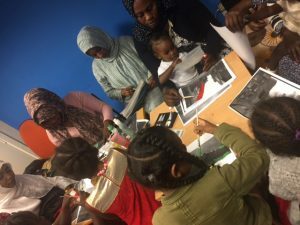 The majority of the participants are Sudanese, Syrian , Asian, African women who want to share their experiences and create meaningful friendships. One of the first sessions involved discussions about heritage and a look at old photographs of Bradford and how that compared with many of the participants home towns and villages. Filmmaker, Simona Manni attended the sessions and introduced her work and some basic camera techniques to the group. At a subsequent session the group watch archive film footage of Bradford and discussed the heritage of the City. Bradford City of Film Director also attended a session and gave a talk on the many films that have been made in Bradford over the decades. There was also a discussion on what the group would like to do in the coming months and a lot of interest in making films as well as watching films. 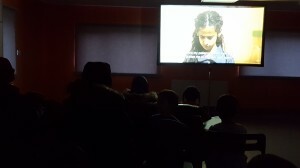 Topics such as food, Sudanese coffee and fashion were considered as subjects for the short films. Due to the timing of the school holidays the group decided to take a break from the coffee sessions over August and were invited to attend weekly screenings as part of the Bradford Family Film Festival. The majority of the film screenings are free to attend. 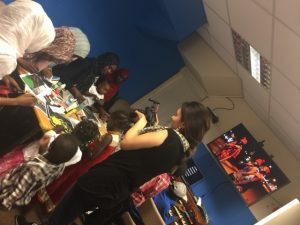 The group sessions will reconvene in September when the group will work with filmmaker Simona Manni to plan and make a short film which will be screened on the Bradford Big Screen in City Park. The filmmaking activity will take place at the Delius Arts & Cultural Centre in Bradford. There will also be a series of film screenings at this venue and it is hoped that the group will help to organise the screenings, choose the films and also receive training on how to set up the film equipment as well as assist in the marketing of the screening. A social activist who uses folk music to spread his message is arrested, accused of inciting a sewage worker’s suicide. 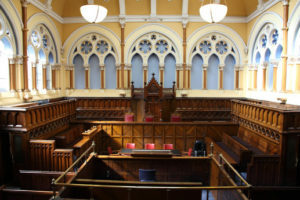 Lawyers from both sides of the aisle, and the rote ideologies they represent, are scrutinised as the trial plays out. You have the opportunity to see this brilliant film in the Victorian Court Room in City Hall, Bradford. Places are limited and booking is essential. 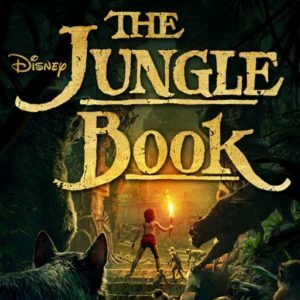 The live action version of the Disney animated classic and just won an oscar for some of the special fx. 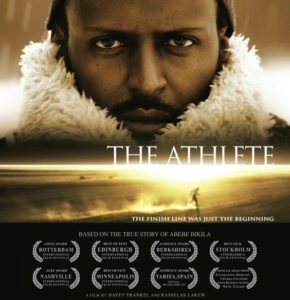 Running the streets of Rome in 1960, an unknown, barefooted Ethiopian man stunned the world by winning Olympic gold in the marathon. Overnight, Abebe Bikila became a sports legend. A hero in his own country and to the continent, Bikila was the first African to win a gold medal, and four years later in Tokyo would become the first person in history to win consecutive Olympic gold medals in the marathon. This soldier and quiet son of a shepherd would be acknowledged by many as the greatest long distance runner the world had ever known. The second film in the series is ‘Leave to Remain’ – Three teenagers forced to leave their family, friends and homes behind learn to live in yet another hostile country. That country is the UK. OMAR, A CHARISMATIC AFGHAN TEENAGER, IS AT THE PRECARIOUS JUNCTURE OF HAVING HIS REFUGEE STATUS DECIDED, WHEN THE ARRIVAL OF A BOY FROM BACK HOME THREATENS TO CHANGE EVERYTHING. FORCED INTO A POSITION WHERE THE OUTCOME MAY BE THE DIFFERENCE BETWEEN LIFE AND DEATH, HIS ONLY OPTIONS ARE TO TELL THE UNBELIEVABLE TRUTH OR TO TELL A GOOD STORY? FOR OMAR, AND THOUSANDS LIKE HIM, WHO ARRIVE ALONE AND SCARED TO OUR SHORES EACH YEAR, THE ASYLUM SYSTEM IS A CRUEL GAME OF CHANCE. The first film in the series is ‘Wadjda’ which is also very appropriate as it is very much a movie of firsts. This first feature film shot entirely in Saudi Arabia the film tells the story of a young girl living in a suburb of Riyadh determined to raise enough money to buy a bike in a society that sees bicycles as dangerous to a girl’s virtue. Even more impressive, WADJDA is the first feature film made by a female Saudi filmmaker. In a country where cinemas are banned and women cannot drive or vote, writer- director Haifaa Al Mansour has broken many barriers with her new film.